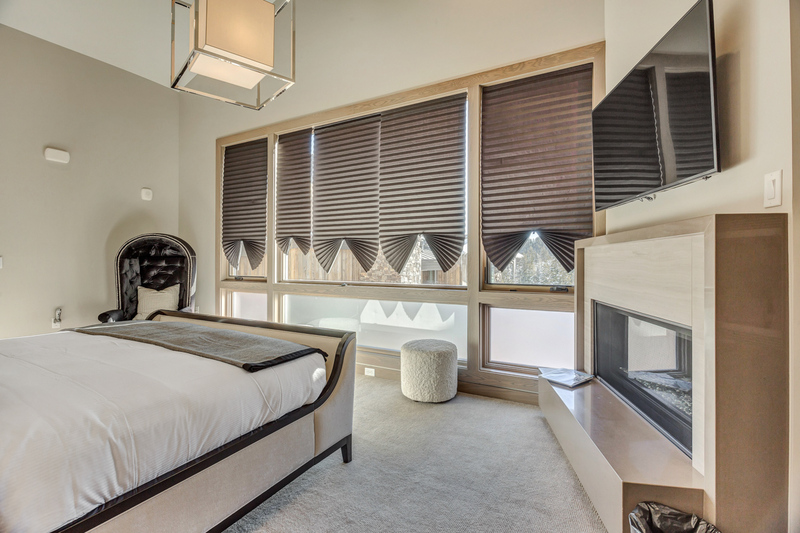 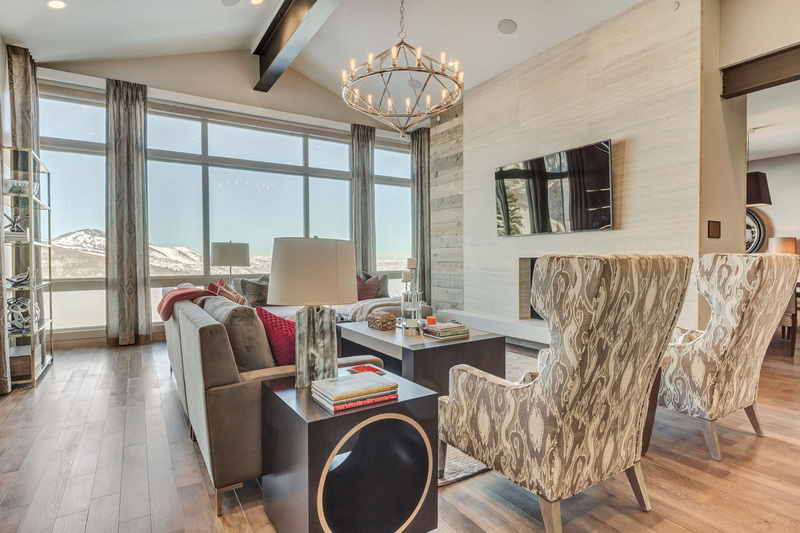 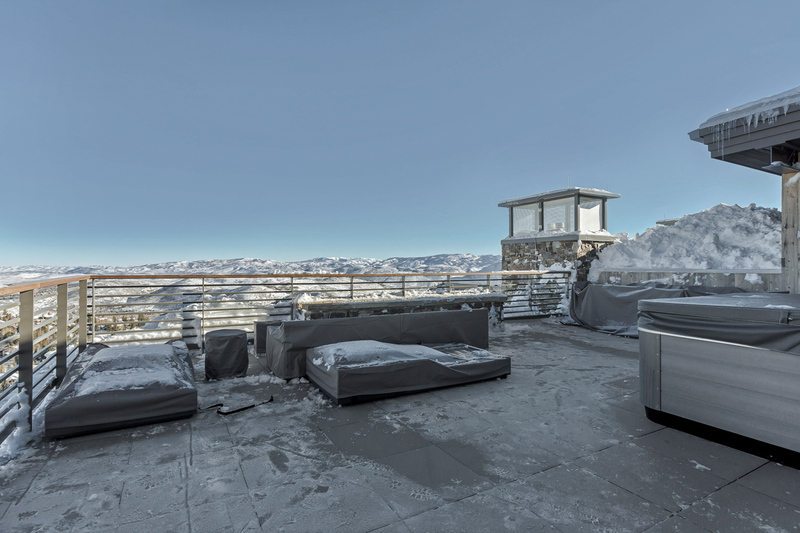 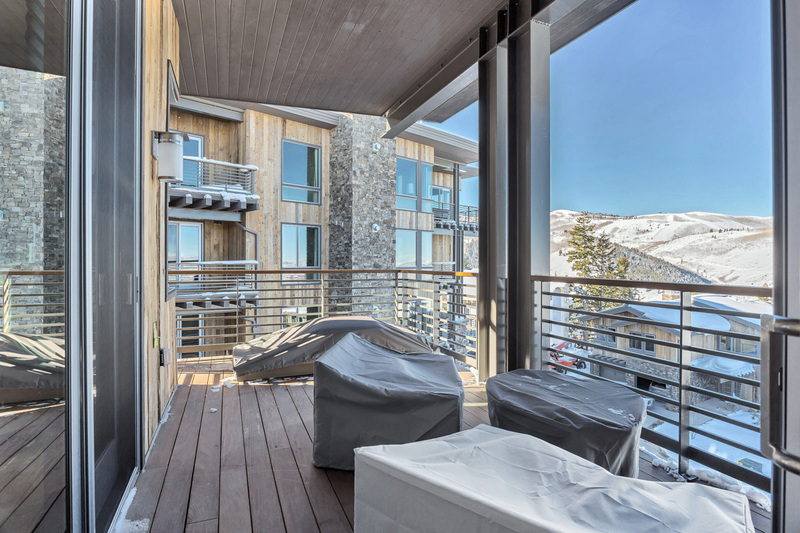 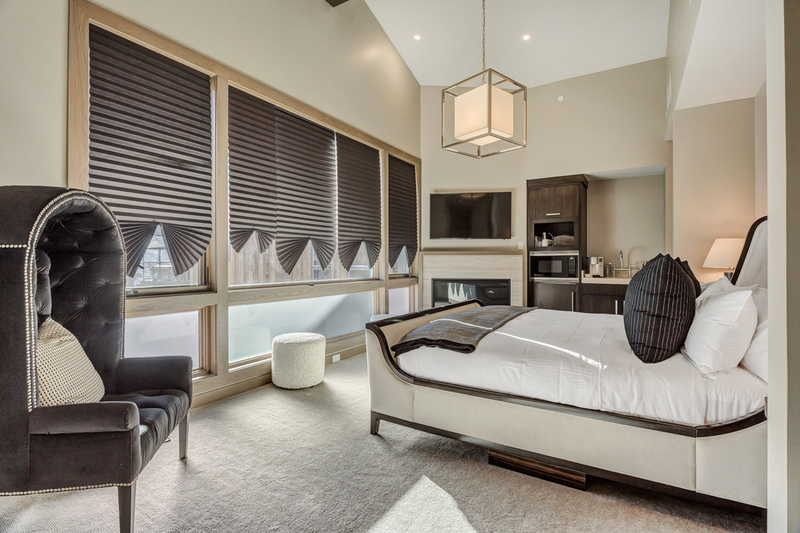 Nestled directly on Deer Valley’s green Silver Dollar ski run, this beautifully designed 5-bedroom, 5.5-bath condo is ideal for groups with novice skiers, offering access to the Snow Park base area through gentle blue and green trails. 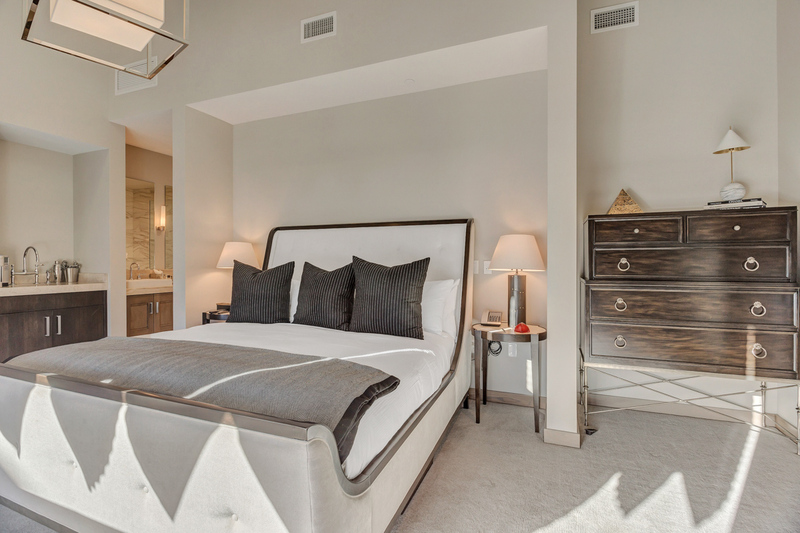 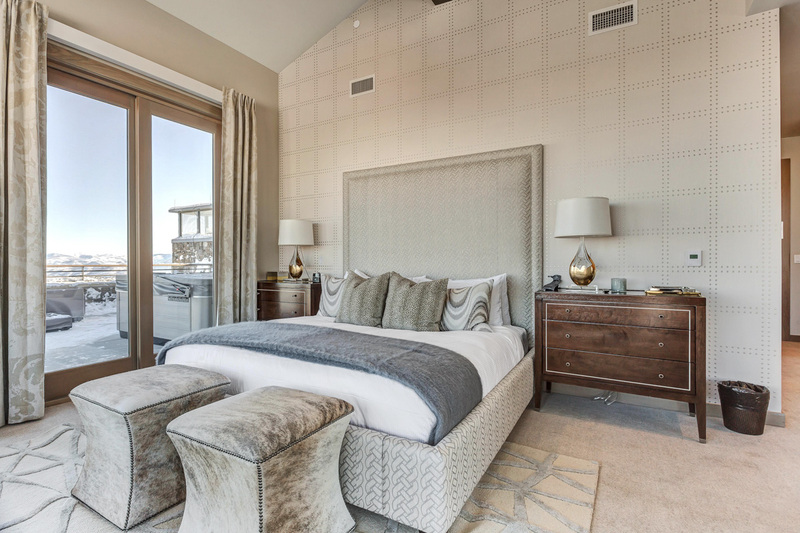 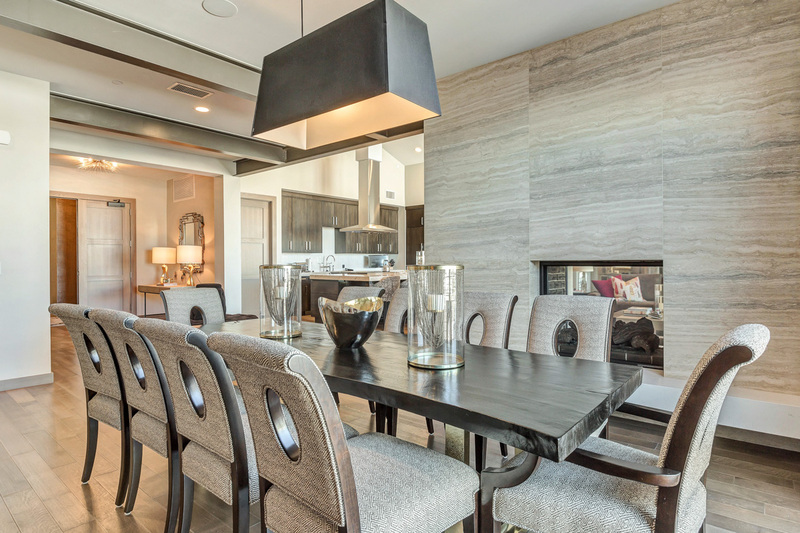 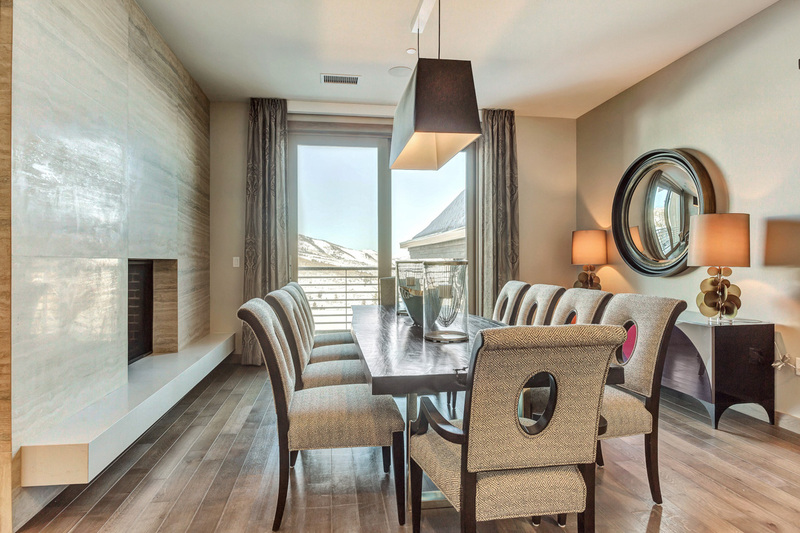 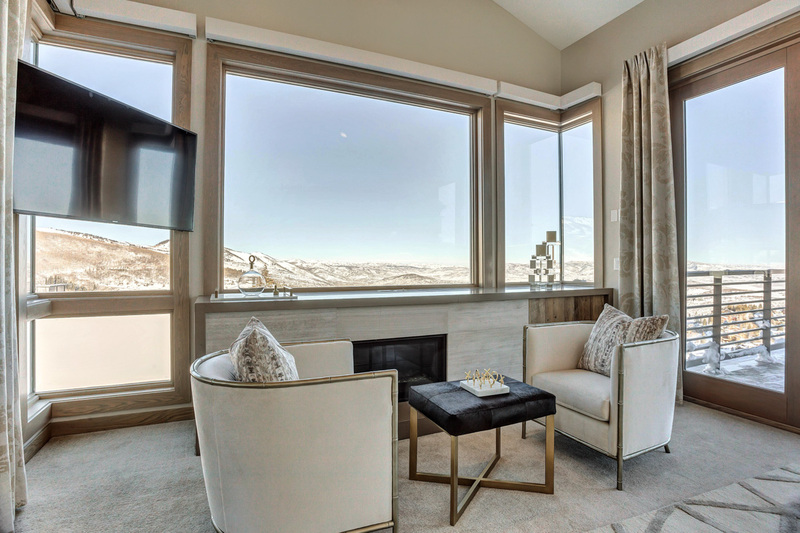 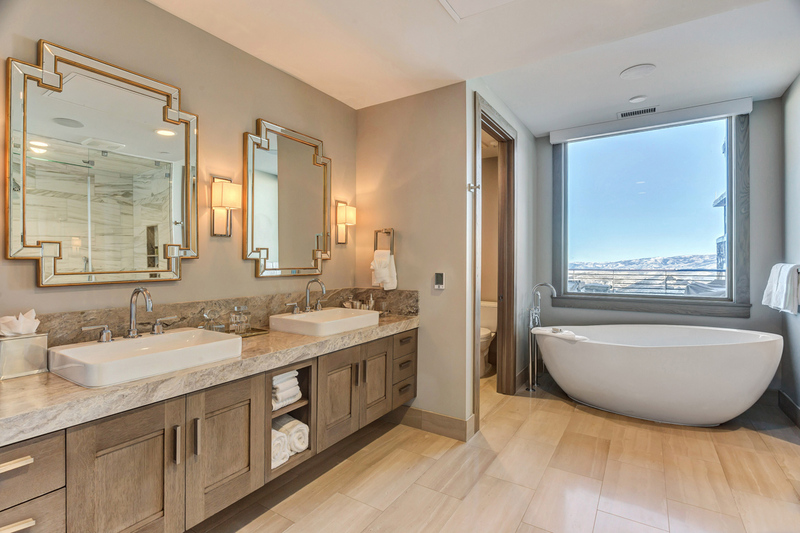 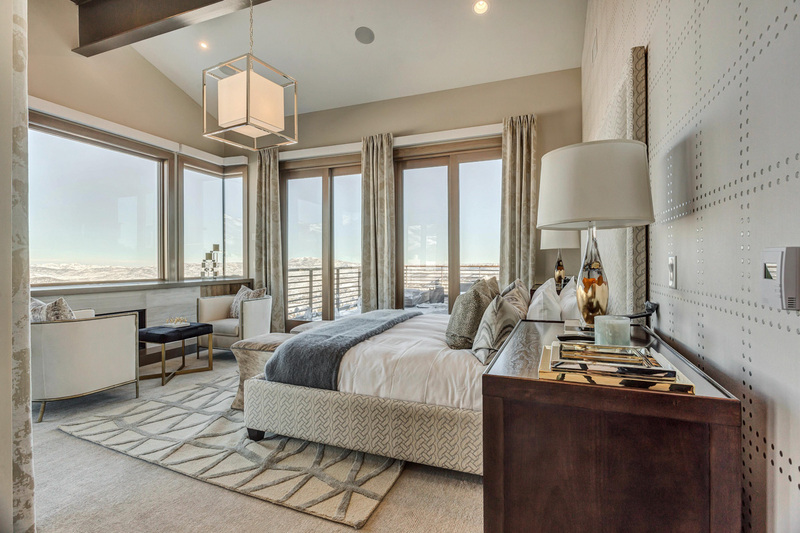 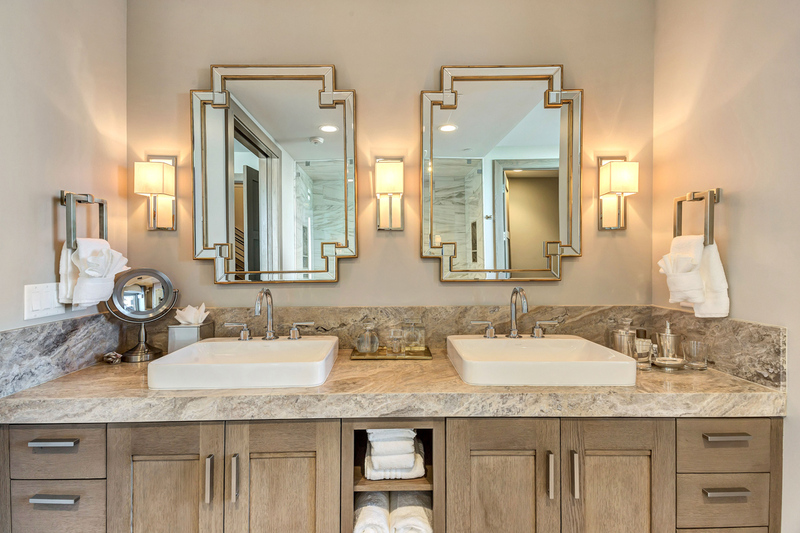 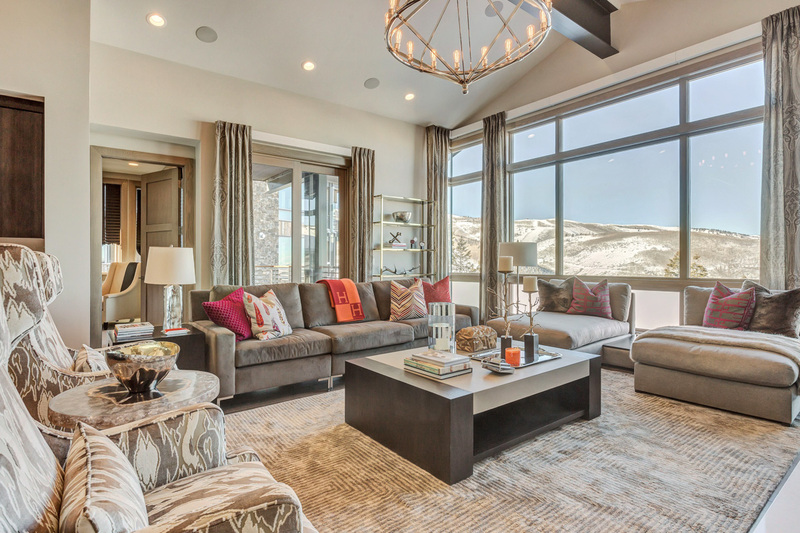 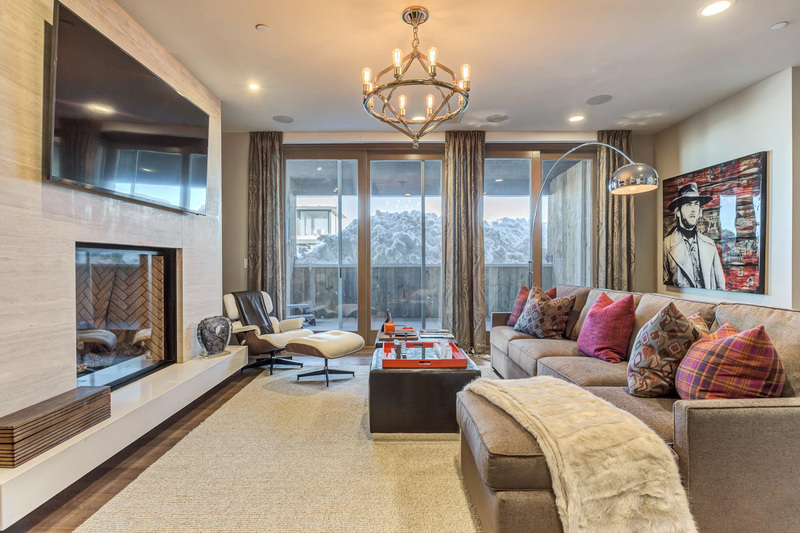 Exquisitely furnished with plush sofas and elegant armchairs, contemporary metal chandeliers and rich drapes framing wall-to-wall windows, this spacious home provides an inviting escape in one of Deer Valley’s most desirable neighborhoods. 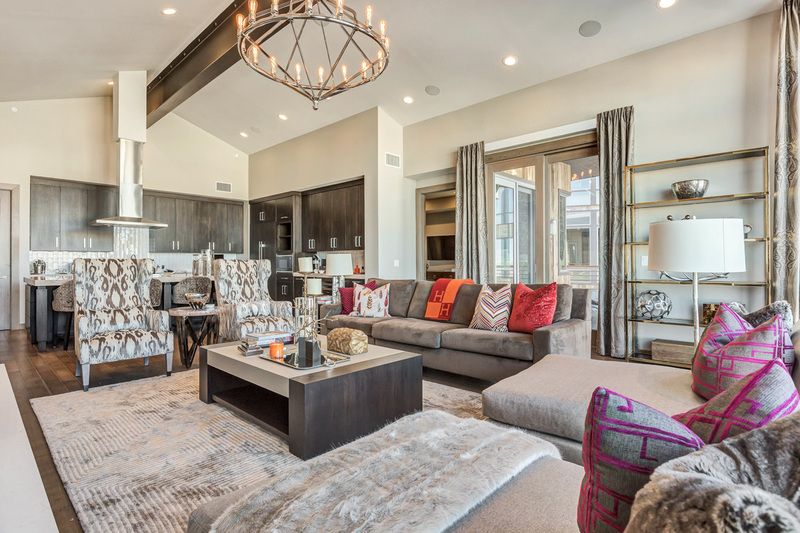 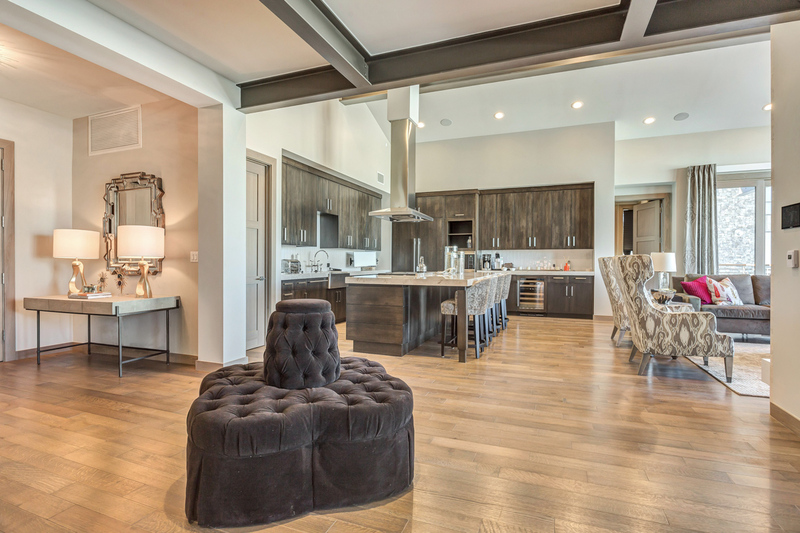 Vaulted ceilings, exposed wood beams and hardwood accents give the feeling of a true mountain lodge, balanced by granite countertops, stainless steel appliances and bold, modern artwork. 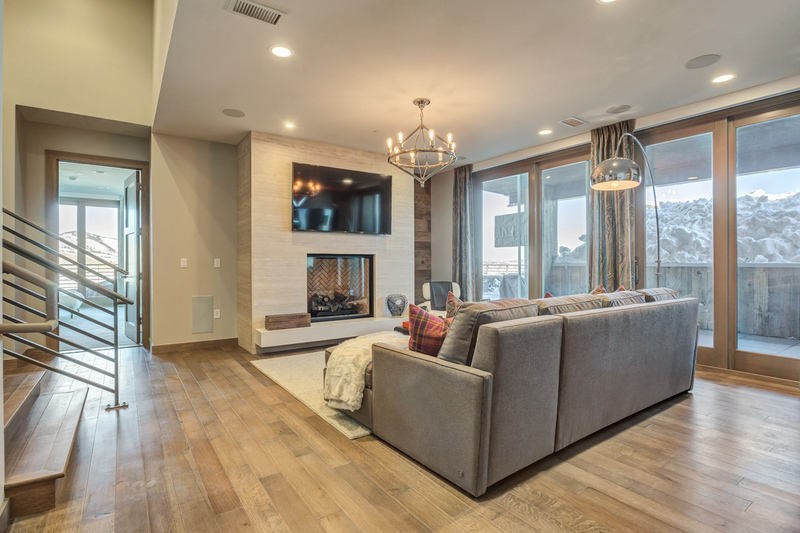 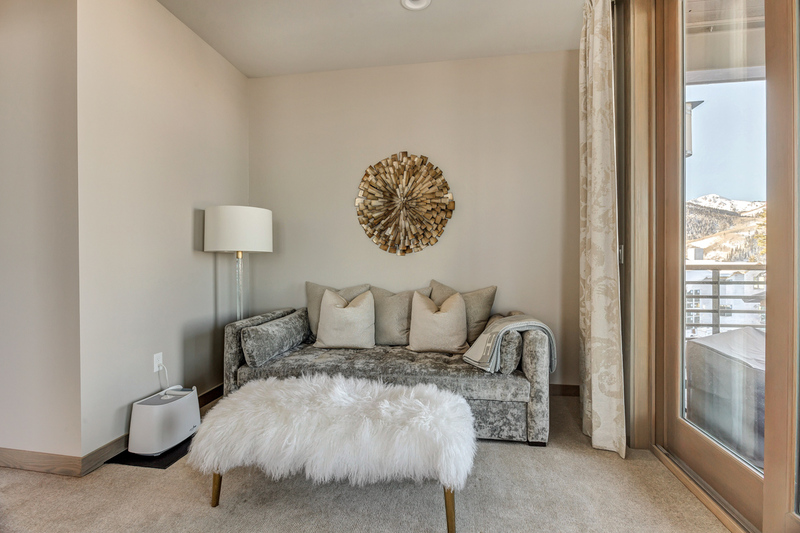 On the main level, you’ll find a spacious living room with a plush sofa, two chaise-style lounges and twin armchairs surrounding a large screen TV and a two-way gas fireplace separating the living room from a formal 12-seat dining area. 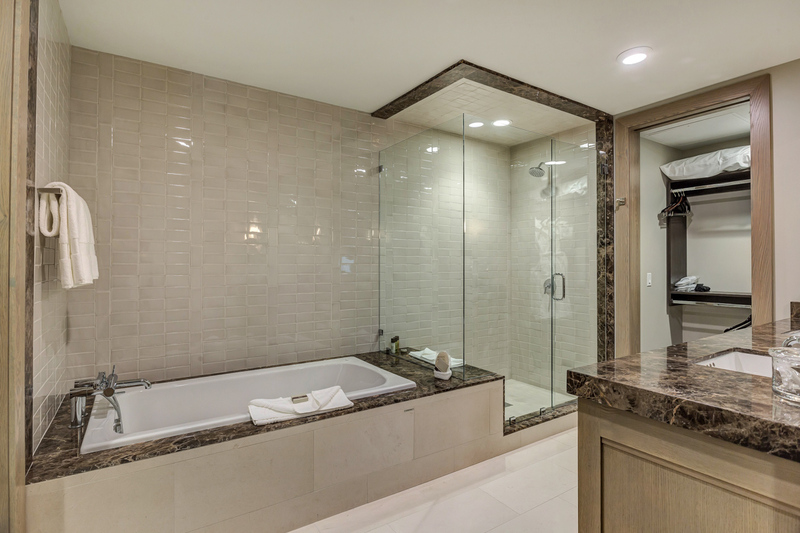 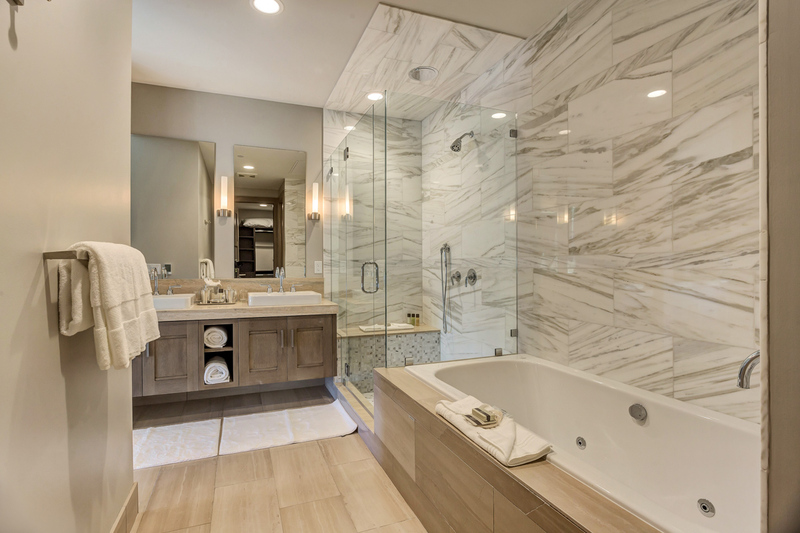 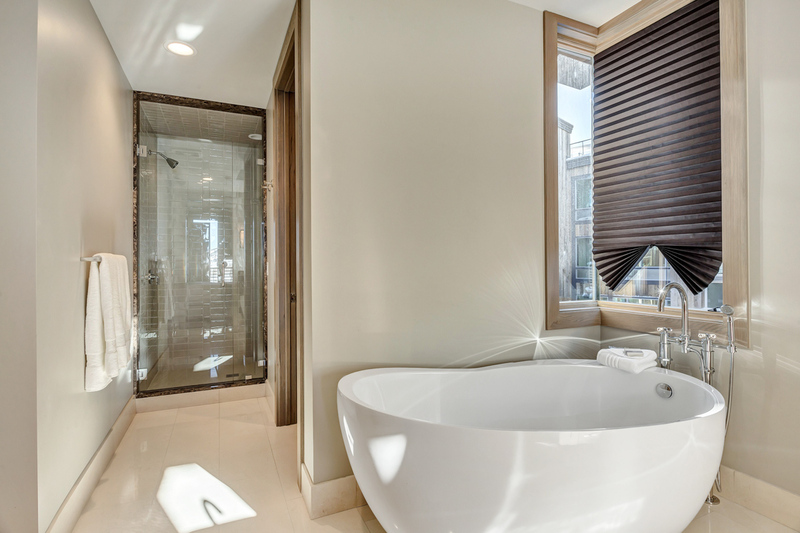 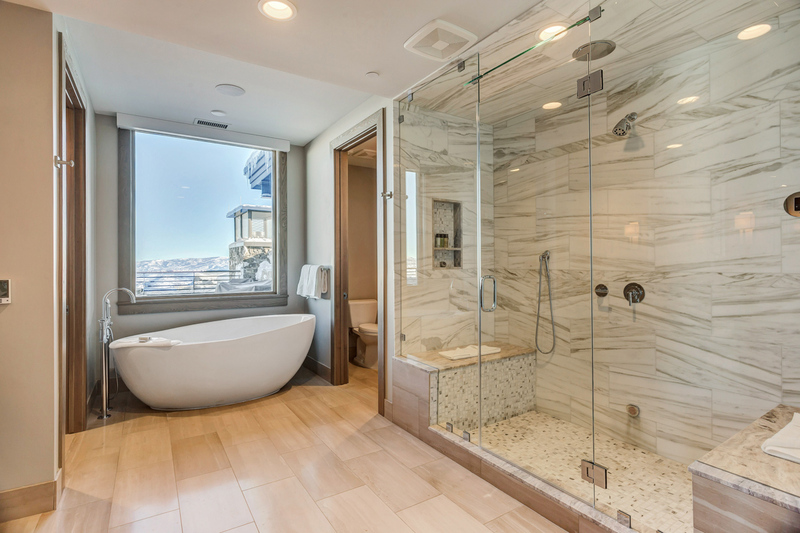 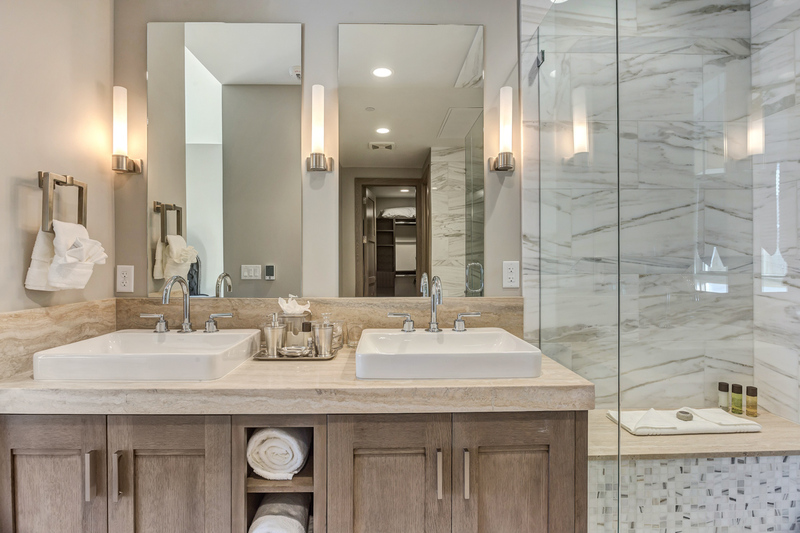 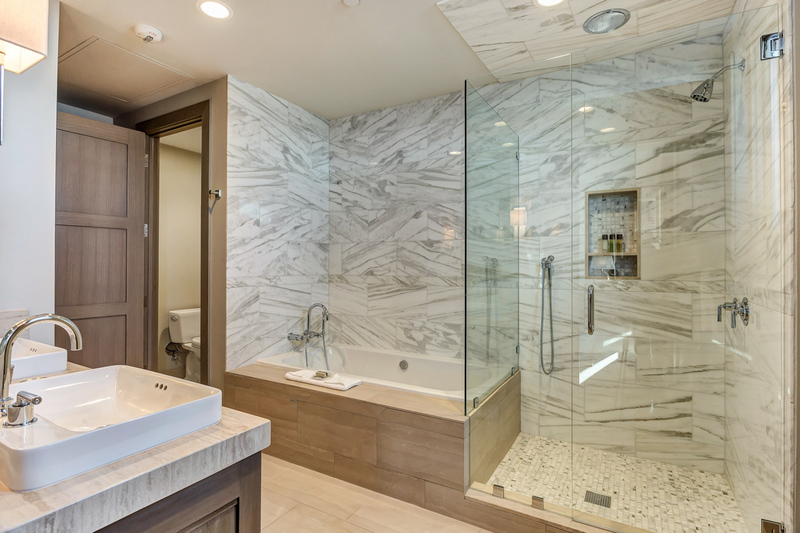 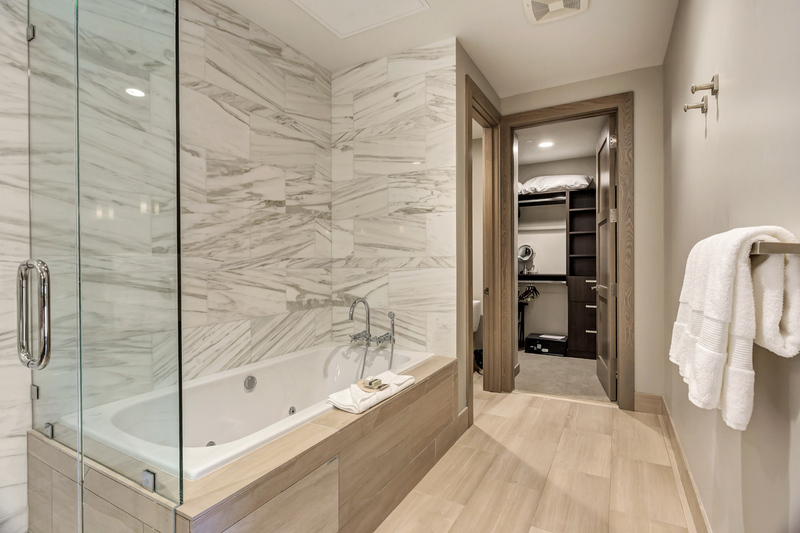 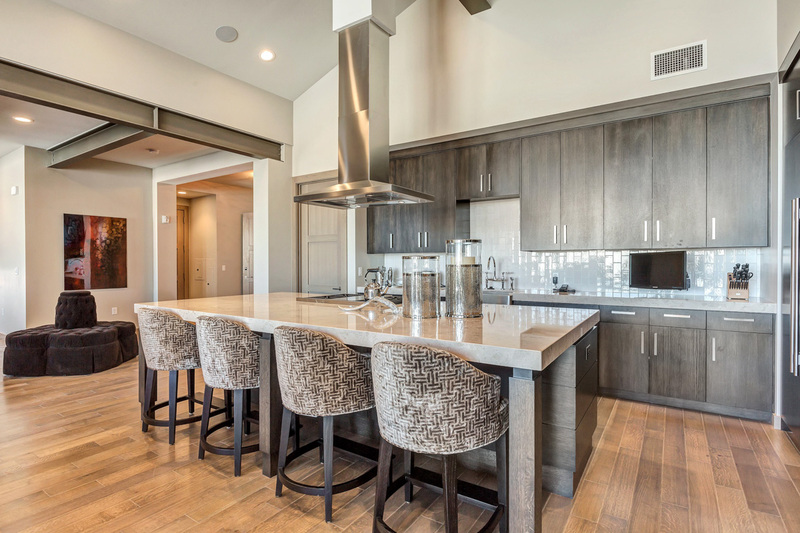 In the living room, you can grab a glass of wine from the wet bar and enjoy it on the private deck, which features outdoor seating, a BBQ grill and private hot tub. 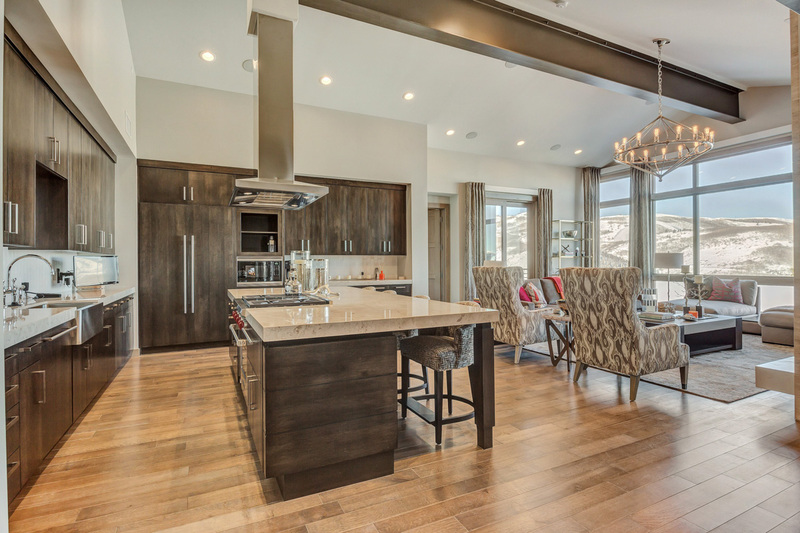 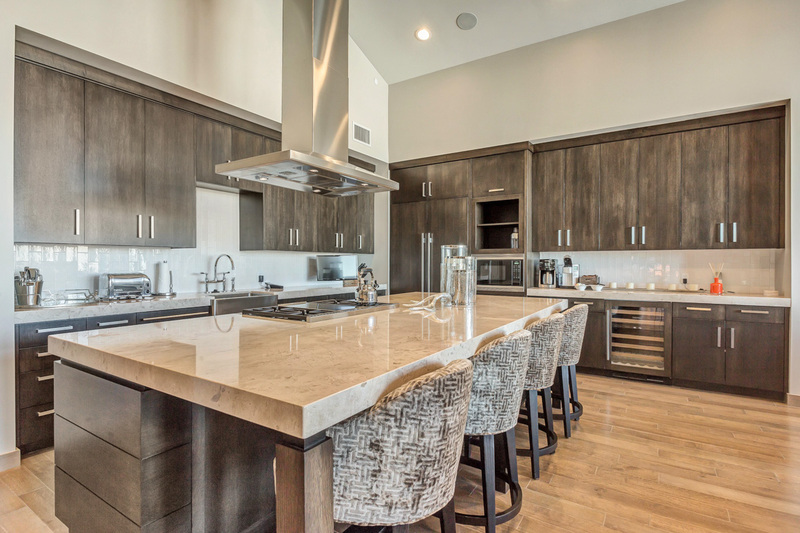 The gourmet kitchen, which flows seamlessly into the living area, offers top-of-the-line appliances and a cozy breakfast bar perfect for sipping cocoa after a day on the slopes. 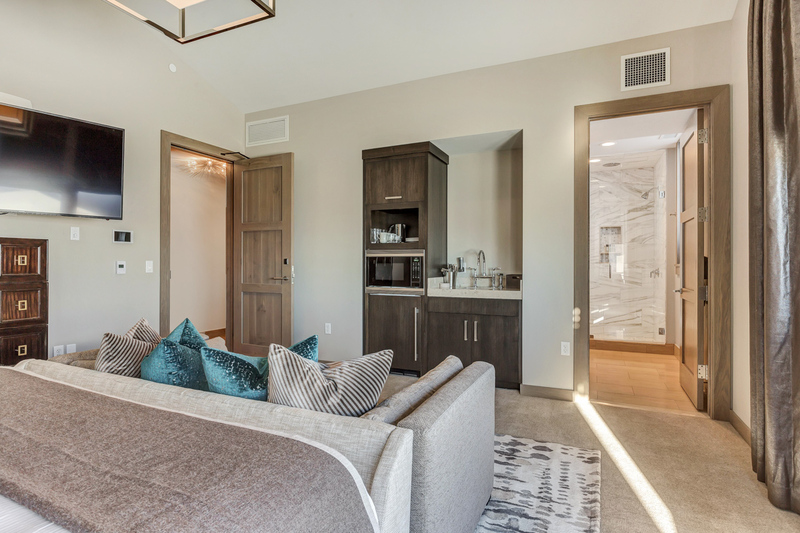 Downstairs, you’ll find a lounge area with a comfy sectional, gas fireplace and TV, with a lounge chair facing a chess set and floor-to-ceiling glass doors opening onto a private deck. 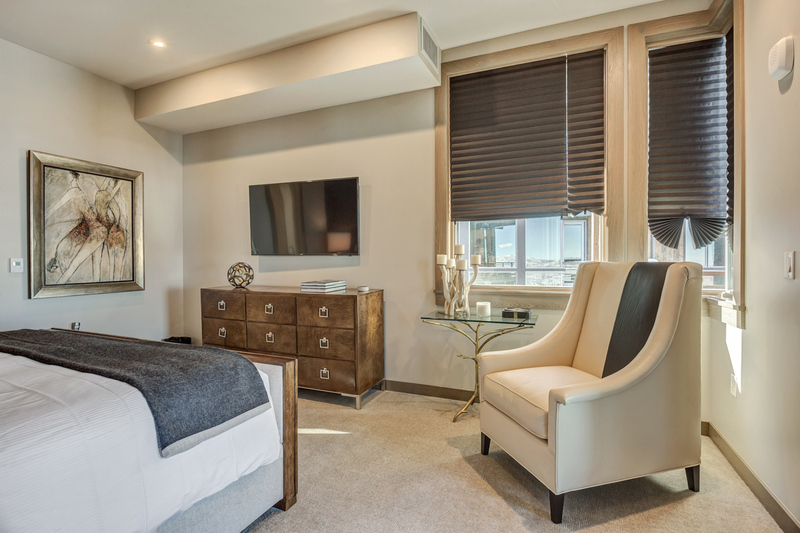 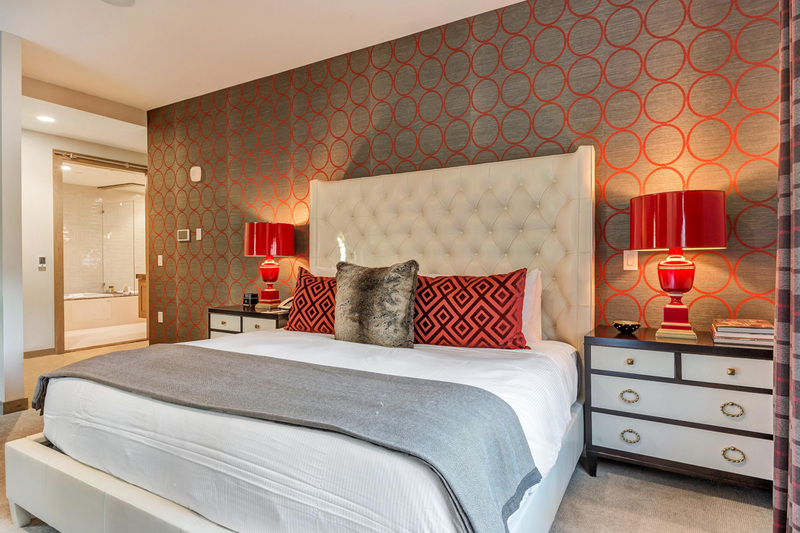 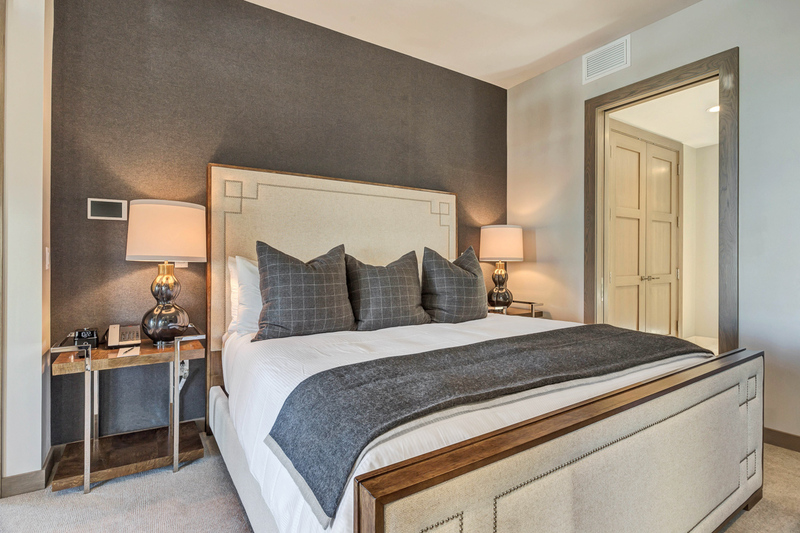 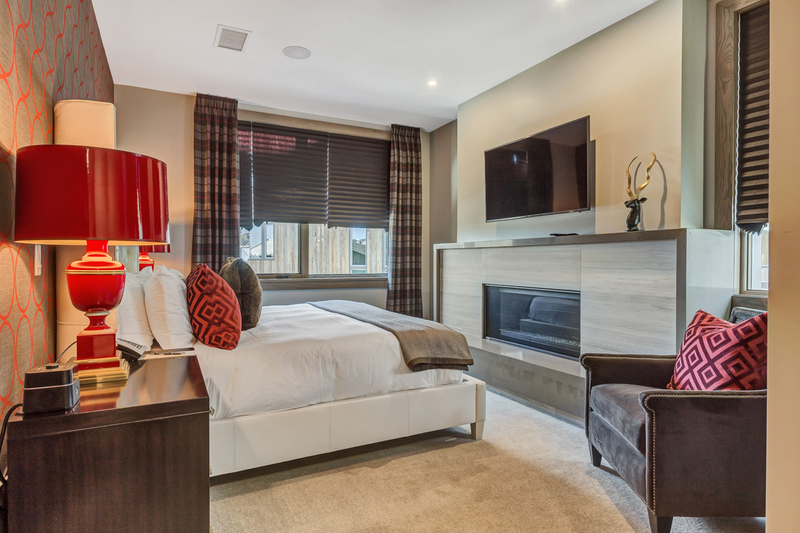 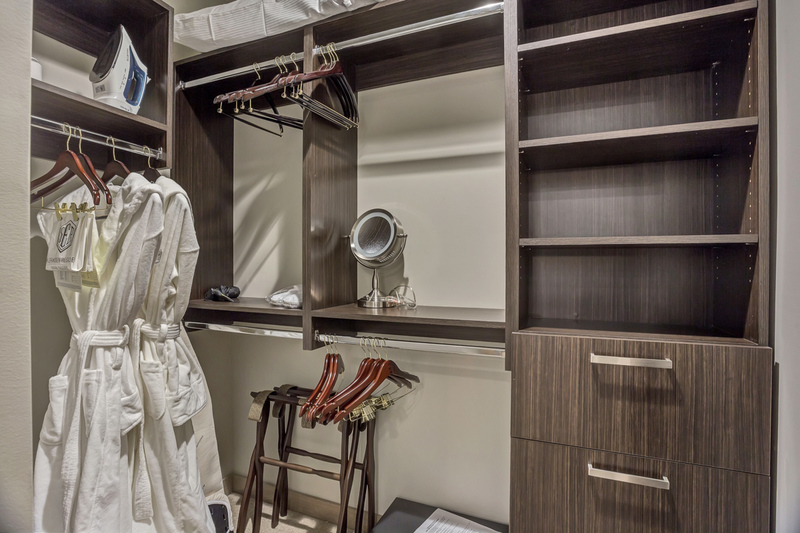 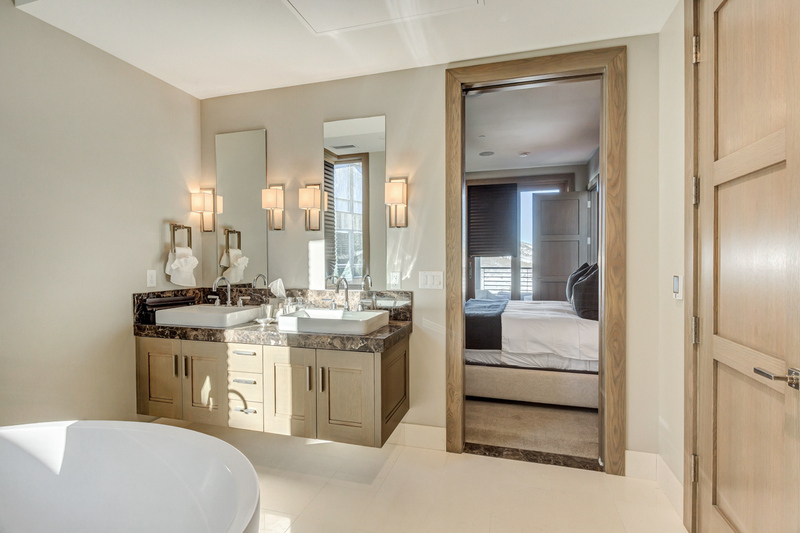 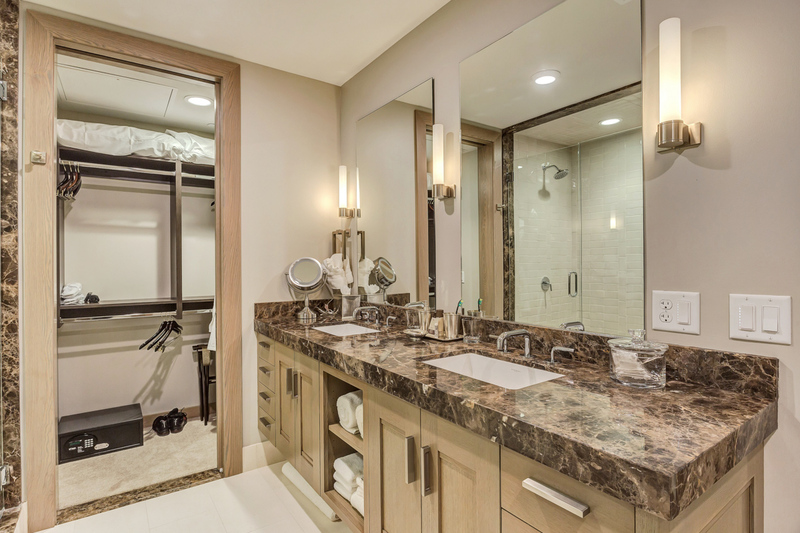 This spacious condo features five bedrooms, each with a king bed, en-suite bath, dual vanity, walk-in closet, fireplace and TV. 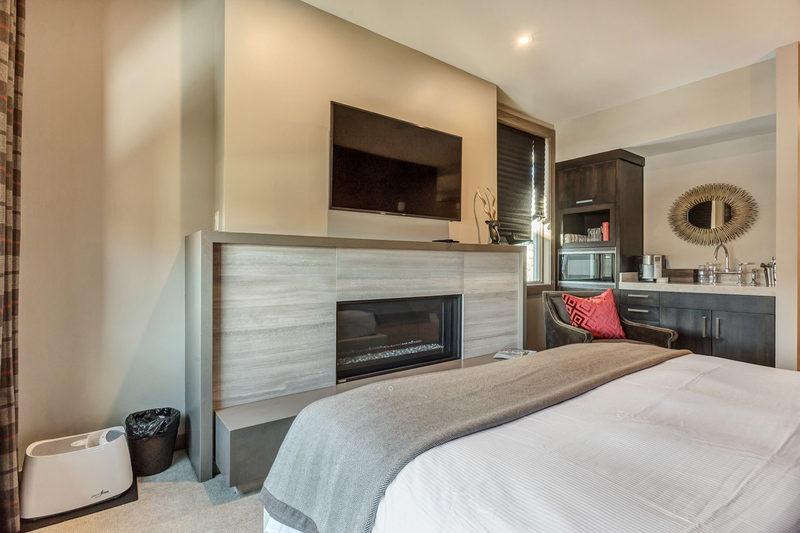 Three of the bedrooms have kitchenettes. 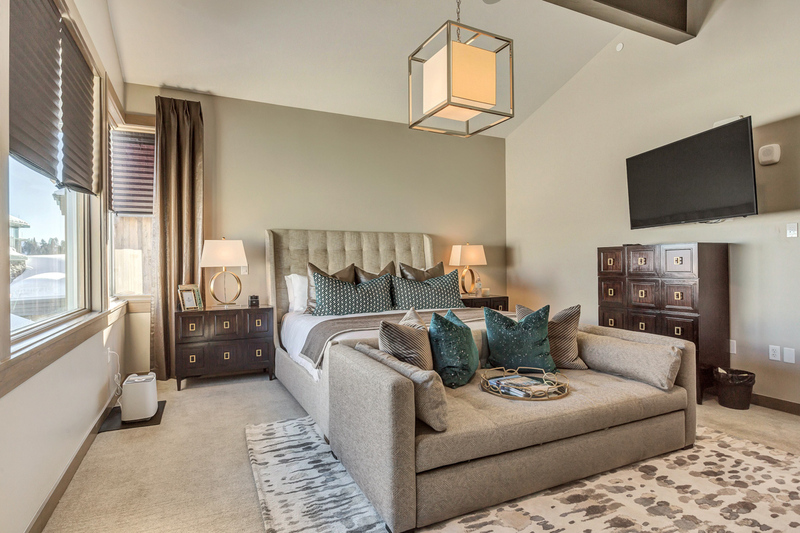 You’ll also find a queen sleeper sofa, allowing up to 12 guests to stay comfortably. 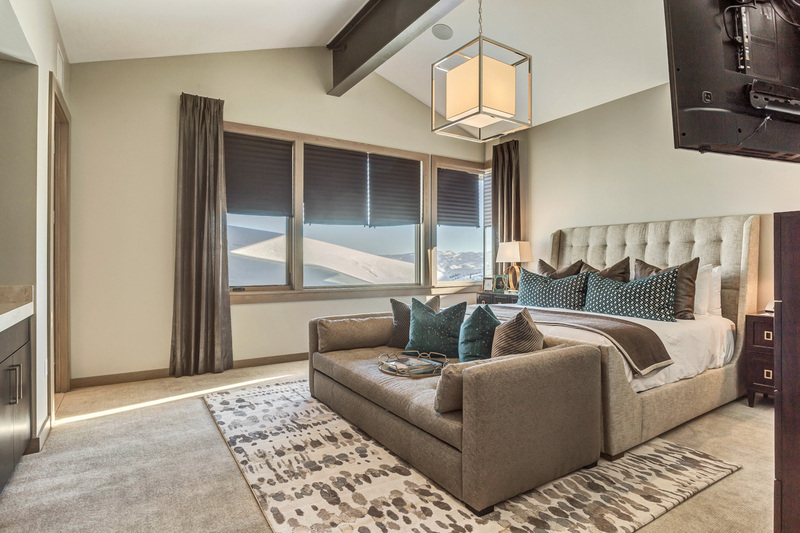 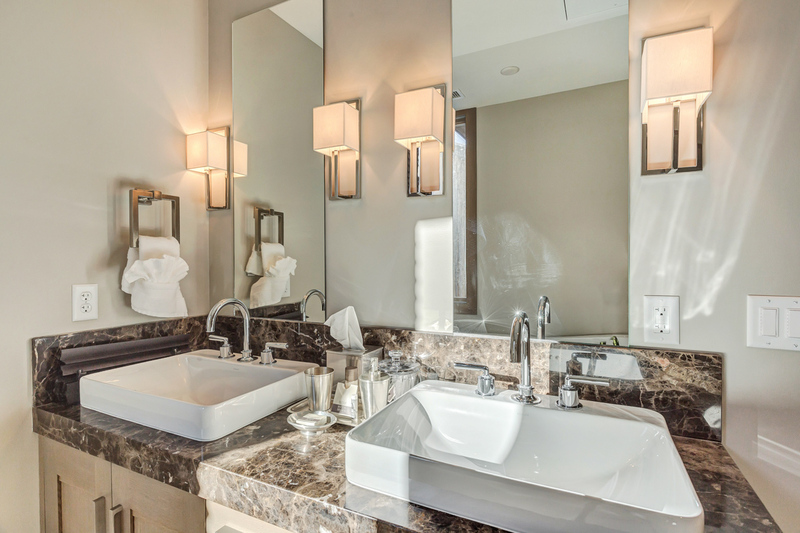 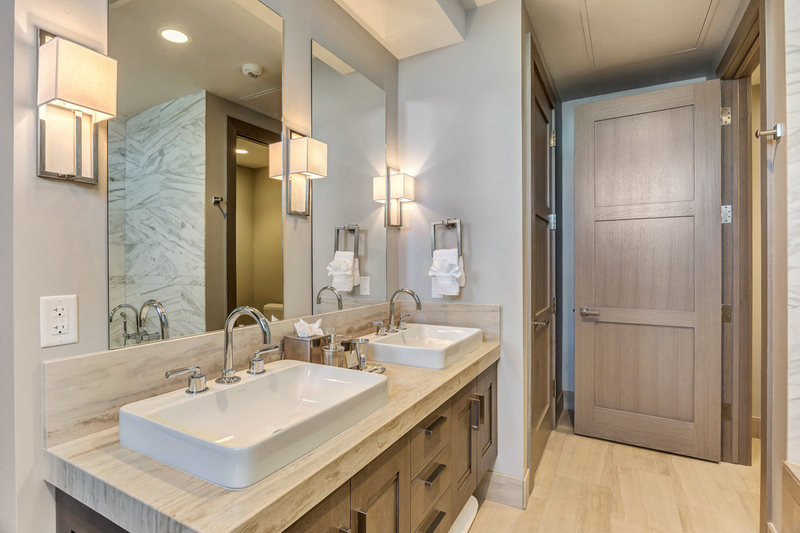 As a guest of the Stein Eriksen Lodge, you will also enjoy housekeeping, a complimentary winter breakfast buffet and access to resort amenities, including an on-site spa, indoor/outdoor infinity swimming pool, fitness center, private ski lockers and a lounge area with fire pits. 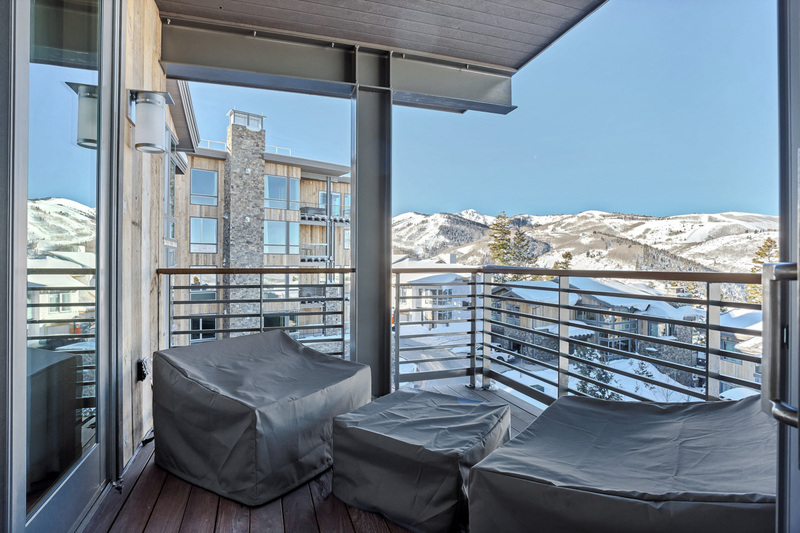 Complimentary shuttle service to Main Street Park City and Park City Mountain Resort provides easy access to shopping, dining, entertainment and even more mountain adventures, including snowboarding. 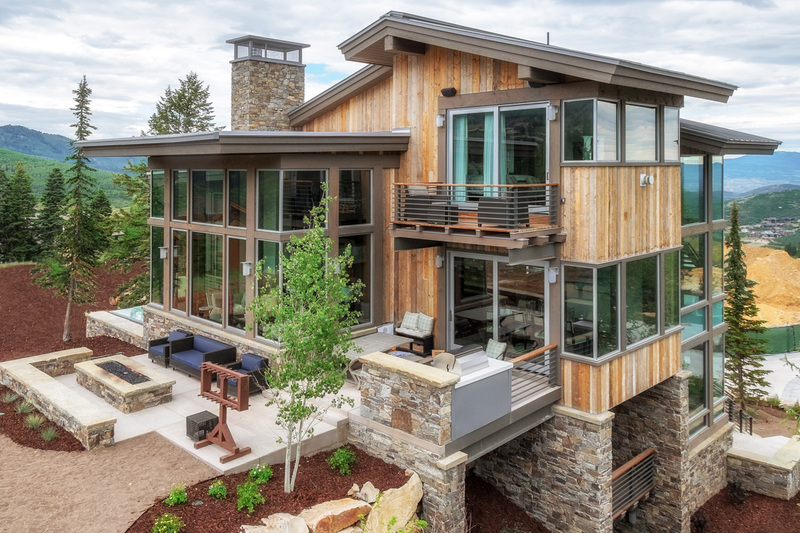 In the summer you can wander through Deer Valley’s aspen-lined trails on foot, mountain bike or even horseback. 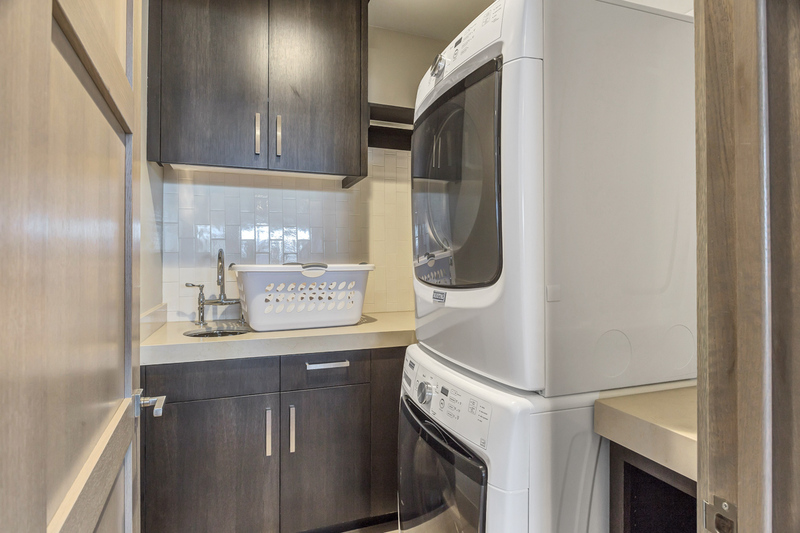 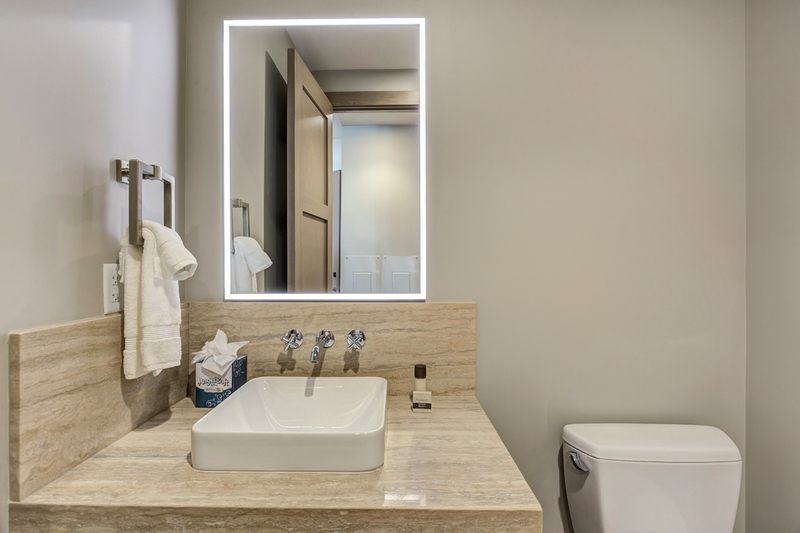 Whichever activity you choose, you’ll have a relaxing retreat to call home.